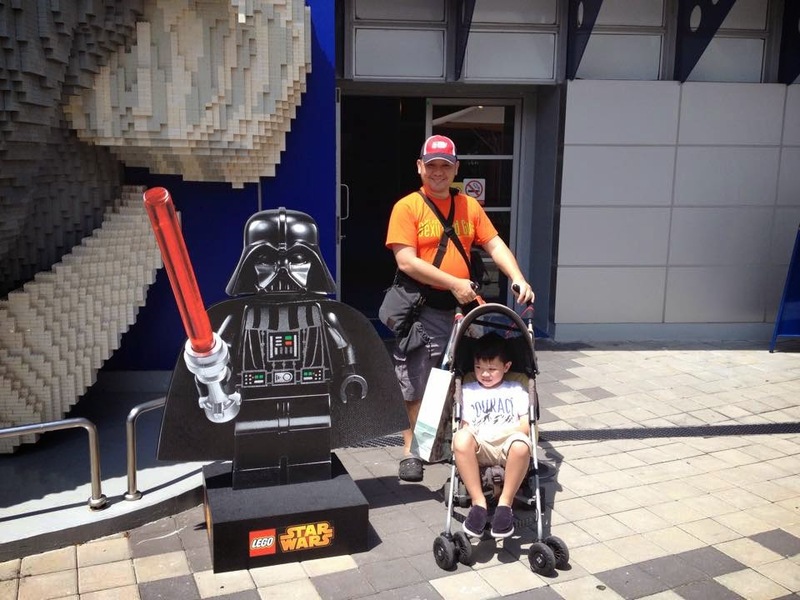 we were seriously stoked to see Darth Vader! 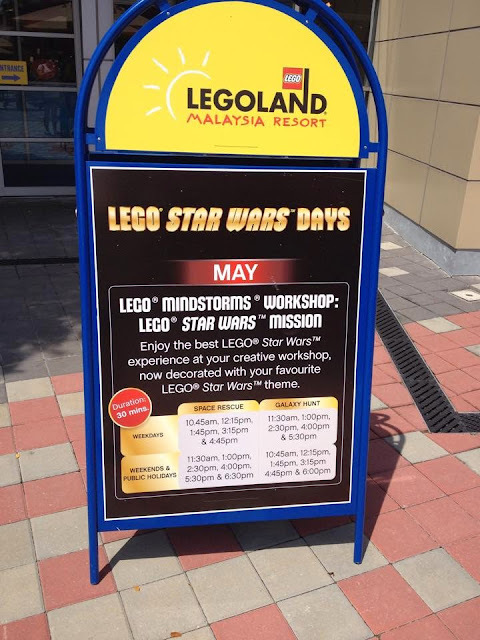 Calling all fan boys and fan girls out there, a new Star Wars experience has been added to our region's Legoland! You don't have to travel to a galaxy far, far away. Just a plane ticket to Johor Bahru, or it's nearby neighbor, Singapore. Yes MAX (deep breathing follows), I am Your father! 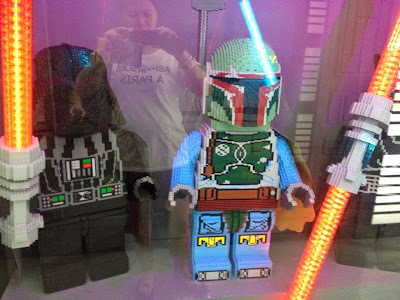 Opening last May 4 (we expected nothing less), the 7 air-conditioned room exhibit features characters from the Star Wars movie franchise and scenes from a cartoon fave, The Clone Wars. 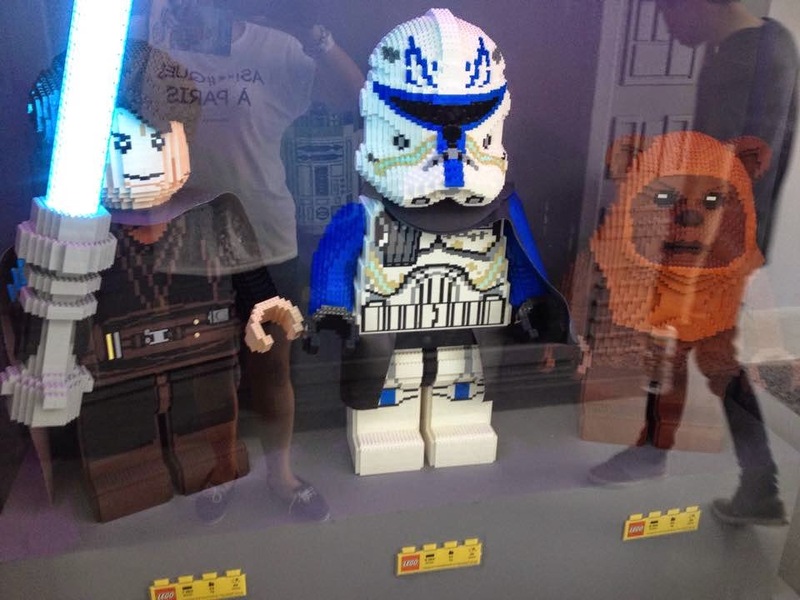 The exhibit itself is arranged chronologically, starting with room one's Episode One: The Phantom Menace. attention to detail was indeed pretty awesome! 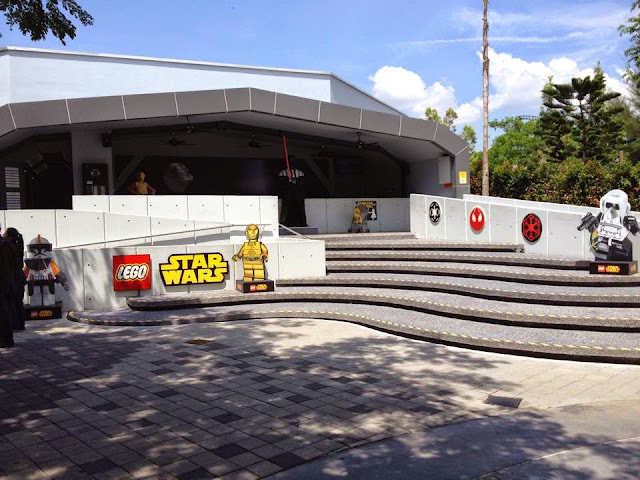 According to the Lego website (click here) , the attraction itself "features more than 2,000 Lego models, built to a 1:20 scale using 1.5 million Lego bricks". That's some SERIOUS building in Malaysia, Germany and the Czeh republic, where all these models were put together. Our favorite, aside from viewing the models, was going on a photo op with Darth Vader's Lego self see topmost photo). For those who may want to bring the experience home, worry not. A souvenir shop comes your way at the end of the exhibit. Personally, the shop could stand to have a wider product line. 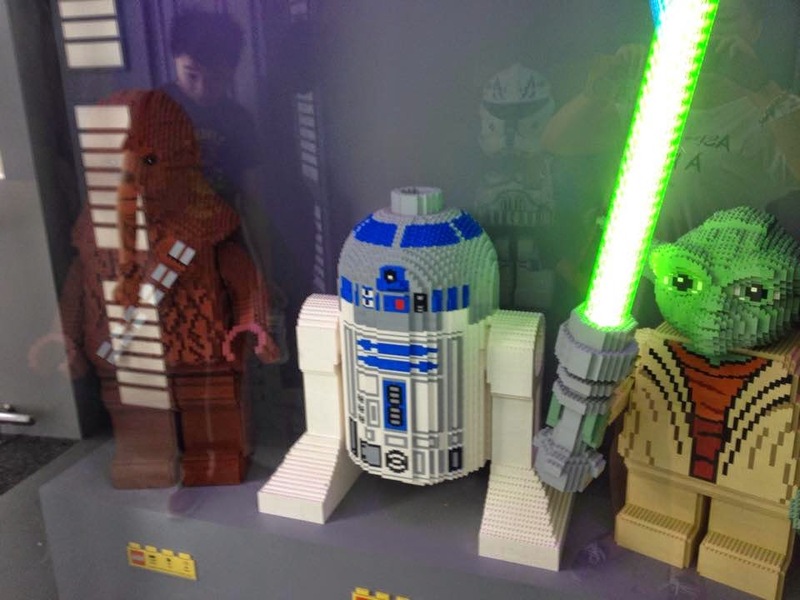 most of the scenes featured in the exhibit have their boxed toy equivalents in the Lego shop. Other souvenir items may be found along with Star Wars related apparel and merchandise. I wanted to buy a couple of Darth Vader apparel for MAX, but they only had toddler sizes. I mean, really?! Why can't they have Darth Vader stuff for bigger kids, especially us adults (Major griping here, sorry)?! At least we got to save a lot of dough, thanks to the poor inventory management). Overall, we thought the whole new addition rocked!! Star Wars Legoland: More than just a respite from the cruel summer heat!